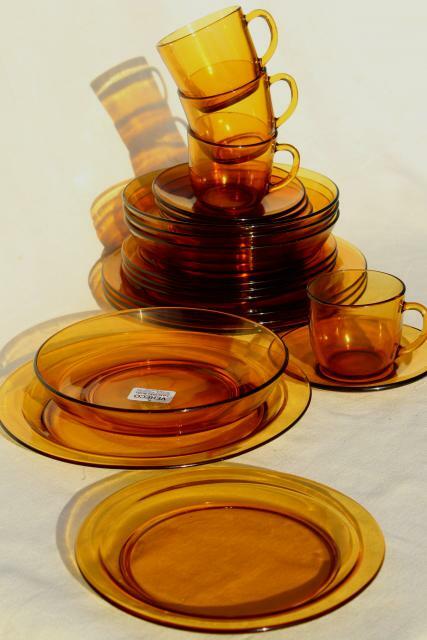 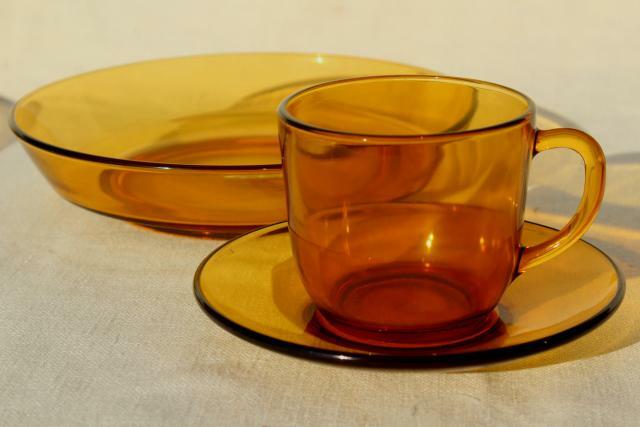 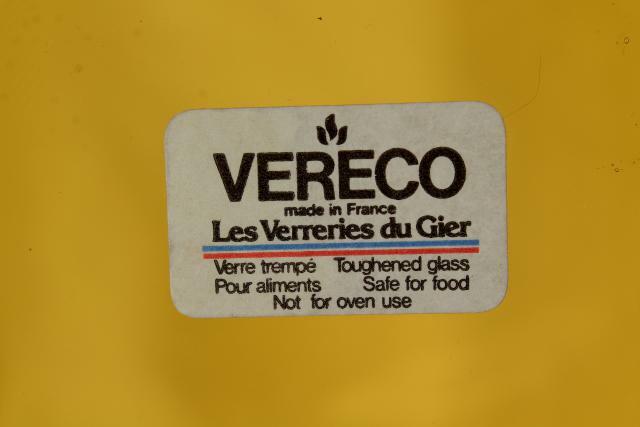 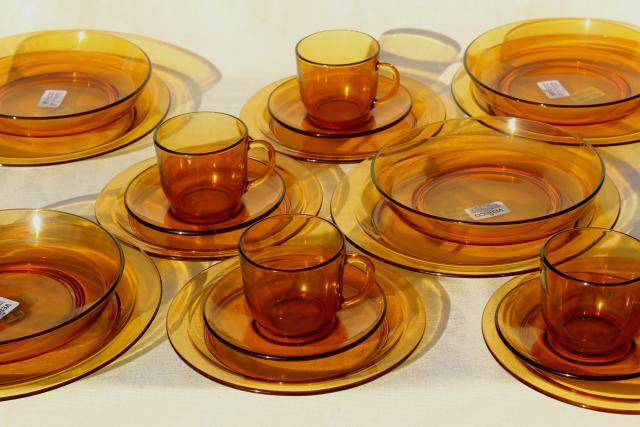 70s or early 80s vintage heat proof glass dinnerware made in France... this is the French equivalent to Pyrex or Fire King. 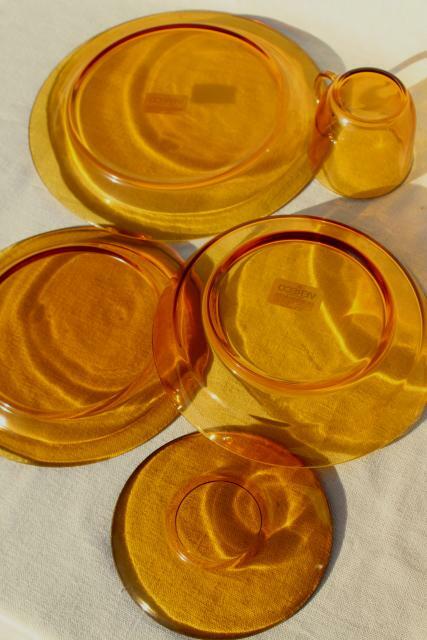 This is a set of dishes for four, never used, in excellent condition with Vereco (Duralex) label. 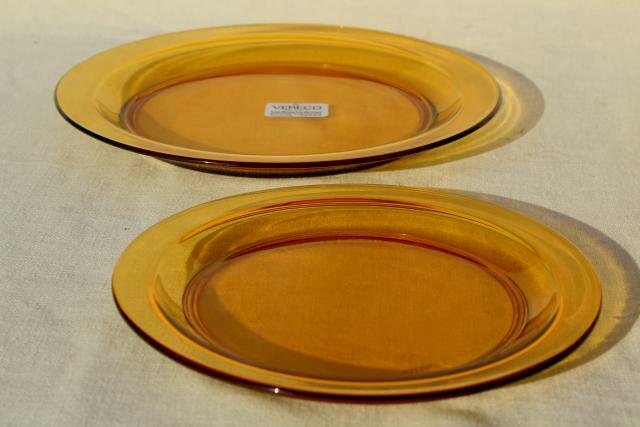 We love the mod coupe shape and the amber gold color! 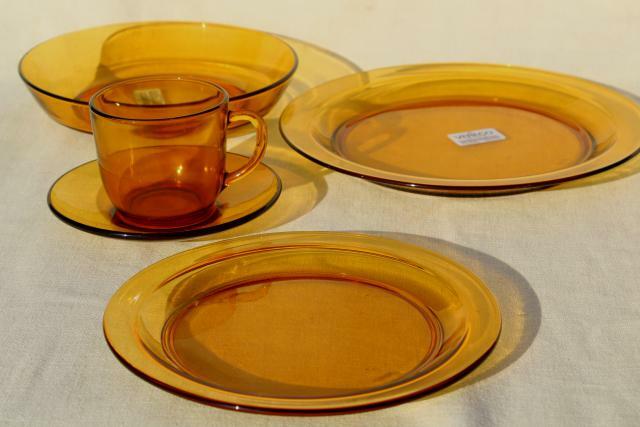 There's four each of cup and saucer sets, dinner plates, salad or dessert plates, and large soup or pasta bowls (7" in diameter). 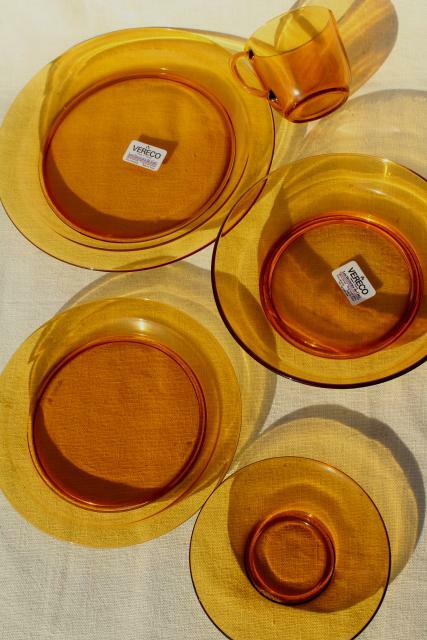 Beautiful, functional vintage dishes for your table.